Get the latest schedule of Napa Valley events and goings-on before you make your vacation plans. Head to the V. Sattui winery for the Coq Au Vin + Cabernet Pairing. It's Saturday, January 12, 2019 from 11am to 3:00pm. Celebrate Cabernet season with scrumptious Coq au Vin paired with V. Sattui's award-winning Cabs. There is more to truffles than meets the eye...and you'll learn all about them at the 9th Annual Napa Truffle Festival January 18- 21, 2019. Discover how these rare delicacies are grown, harvested and prepared. Michelin-star and award-winning chefs are here for this special tastebud-tantalizing event. Head to the Calistoga Farmers Market on Saturdays from 8:30am to noon. Shop for fresh fruits and veggies, plus crafts, flowers and herbs at this event in downtown Calistoga. Indulge in culinary delights from some of the region's top eateries during Napa Valley Restaurant Week January 20-27, 2019. Dozens of participating eateries have come up with temptations worth exploring, including special menus. Catch award-winning mega-talent Rosanne Cash at the Uptown Theatre in Napa on January 27, 2019. You'll hear cuts from her new album She Remembers Everything, a poetic, soulful and deeply personal collection of songs. Celebrate Valentine's Day aboard the Wine Train. This unforgettable journey is the perfect blend of nostalgia, romance and charm. Several day or night options are available between February 14, 2019 through February 17, 2019. Each leisurely excursion includes a gourmet meal and sparkling wine. Imagine a romantic Italian-inspired evening with your sweetheart at the Royal Hearts Dinner on February 15, 2019. The Castello di Amorosa knows how to make fantasies come true! Begin with a glass of Spumante and antipasti, then enjoy a traditional Italian meal paired with wine. You'll be enchanted with live music and many more delights. Cure cabin fever with heart-and-tummy-warming Chardonnay and Crab Feast at Robert Mondavi Winery on February 16, 2019. Savor a seafood menu paired with Reserve Chardonnay. And afterward, you'll be treated to live music and a delectable dessert buffet. Romance is in the air! Get reservations for Beringer Vineyard's Wine Club Valentine's Dinner on Saturday, February 16, 2019. You and your sweetie will savor a sumptuous three-course dinner, while a live jazz band entertains and lights up the dance floor. Grab your running shoes and get set for the Annual Napa Valley Marathon on March 3, 2019. This popular event follows the scenic Silverado Trail and garners entrants from around the world. New this year is the Half Marathon -- a quicker course through Wine Country. Sign up early to reserve your spot. Spend an unforgettable evening with The Marshall Tucker Band on March 8, 2019. Still led today by founding member and lead singer Doug Gray, this group's definitive blend of rock, r&b and country can be heard in chart-topping hits, Heard It In a Love Song, Fire On The Mountain and Can't You See. Join the celebration at the Yountville Live March 14 - 17, 2019. This four-day, first-class event features live music performances, food from world-class restaurants and award-winning chefs, and wines from 100 of Napa Valley's top wineries. Get the full schedule plus tickets at the site. Tempt your tastebuds for the Taste of Yountville on March 16, 2019. Get a taste of Yountville's celebrated gourmet restaurant fare, fine wines, microbrews, olive oils, vinegars and more foodie delights. 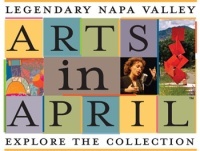 Napa Valley Arts in April™ is a month-long celebration of the unique art in this wine region. Satisfy your cravings for culture with curated tours and special events. From Calistoga to Carneros, discover the amazing diversity of creative collections that are waiting for you to explore. Get details at the Arts Council. Grab a bib and dig into the Lobster Fest at V. Sattui winery. You'll enjoy a hearty feast of fresh Maine lobster, prawns, corn on the cob, all the fixings, plus tastings of new wine releases. After dinner, head to the patio for dancing. This 21-and-over party is an exclusive, members-only event on Saturday, April 13, 2019. Welcome spring at the Bud Break Festival April 14, 2019 from 11am to 3pm. This family-friendly event is at the CIA at Copia in Napa, and includes garden tours, bocce ball, live music, seed planting for kids and more. Young tots won't want to miss the Easter Egg Hunt. Admission is free; food and beverages are available for purchase. Catch Michael McDonald at the Uptown Theatre in Napa on April 18, 2019. With a career spanning five decades, this Grammy-winning songwriter, singer and keyboardist has had a number of hits with the Doobie Brothers, as well as a solo artist, with hits Takin' It To The Streets, Minute By Minute, I Keep Forgettin', plus many collaborations with critically acclaimed artists. Kick up your heels at the Sunset BBQ & Country Music Bash. It's at Silverado Vineyards on April 27, 2019. You'll feast on tasty barbecue paired with Silverado wines, then enjoy a live country music performance by award-winning Lexi Larsen. You'll want to wear your Western duds for this fun event. Join the party at Beringer Vineyards, April 28, 2019 from 11am - 4:30pm. It's the Founder's Day Celebration, including scrumptious food and wine, historical cave tours, live music and more. Get your tastebuds ready for a wine extravaganza! Join the Castello di Amorosa winemakers May 3, 2019 for the Grand Barrel Party. You'll have more than 40 Castello wines from new releases available for tasting, sample Italian foods, watch a barrel making demo, plus enjoy music and dancing. Rise and shine for the St. Helena Farmers Market every Friday from 7:30am till noon, May through October. Stroll the market for fresh produce, crafts and more delights. It's a great place to sip a piping hot cup of coffee and nibble a sweet roll while visiting with the farmers, artists, musicians and Master Gardeners who make it happen. Discover what it takes to make fine wine at Pine Ridge Vineyard's Hike in the Vineyards Saturday, May 4, 2019 from 9am to 1pm. Step into the Stag's Leap vineyards and hear all about it first-hand from viticulture experts. The hike will be followed with a casual lunch. SOLD OUT. Treat your mom to a memorable al fresco Mother's Day Terrace Brunch at V. Sattui on Sunday, May 12, 2019. You'll enjoy each delicious course, prepared by Michelin Star Chef Stefano Masanti and his team, paired with V. Sattui fine wines. Join Rock & Roll Hall of Famer Art Garfunkel at the Uptown Theatre in Napa on May 12, 2019. You'll love this award-winning legend's unique blend of solo hits and cuts from Simon & Garfunkel albums. This promises to be a memorable evening. Top Drink Cocktail Festival takes a playful look at these blended beverages. Be there May 19, 2019 from 2:00 - 4:30 pm at the Napa Valley Museum to sample creative concoctions with food pairings prepared by area restaurants. Tickets are $35 for Members/$40 for Non-Members in advance;$45 at the door. BottleRock Napa Valley kicks off May 24, 2019, for a 3-day celebration, featuring Imagine Dragons, Neil Young, Mumford & Sons and many more artists. Get the schedule, tickets, where to stay and how to get around at the website. You can count on scrumptious food and wine from local restaurants and wineries. You just expected that, didn't you? Don't miss Napa Valley Jazz Getaway June 5-8, 2019. Thrill to this once-a-year music festival, featuring an all-star cast of jazz and R&B greats including Brian Culbertson, Sheila E., Euge Groove and many more. Raise a glass to rosé! Come to the 3rd Annual Napa Valley RoséFest June 8, 2019 noon - 4pm. You'll take in the spectacular views from Sterling Vineyard's hilltop winery, while sampling your favorite rosés along with the Bay Area's top restaurant savory offerings. Grab a bib and dig into lobster, prawns, corn-on-the-cob and more at Hess winery's Lobster Fest Saturday, June 8, 2019. Get the times, cost and all the details on the site. Thrill to the most exhilarating driving machines ever made. The 28th Annual Father's Day Invitational Auto Show is coming to the V Marketplace in Yountville on (date TBD). Imagine more than 100 early and late model autos gathered for this can't-miss event. It's free to the public from 10am to 3pm. Live summer concerts at Calistoga's Pioneer Park happen every Thursday night. Head to Pioneer Park for Calistoga Concerts in the Park. This annual series of free concerts happens every Thursday night June 13 through August 22, 2019 from 6:30pm to 8:30pm in downtown Calistoga. Check the link for concert schedule. Welcome the season with Summer Solstice Yoga at Robert Mondavi Winery. It's Friday, June 21, 2019 from 6pm to 8:30pm. You're sure to discover new balance with an evening of yoga on the spacious lawn, the picturesque Mayacamas mountains as a backdrop. Afterward, relax with a glass of wine and healthy treats, while watching the sunset. Indulge yourself at the Steak, Magnums & Cigars. event on June 21, 2019. It's at the Castello di Amorosa from 7pm to 11pm. Savor juicy New York-style steak paired with a bold Cabernet, then relax in the open-air Courtyard and enjoy cigars and live piano music. Be sure to R.S.V.P. Robert Mondavi Summer Concerts has been a tradition at Mondavi's winery in Oakville for more than four decades. The season kicks off in July 2019. Spend a glorious afternoon listening to live music at Beringer Vineyards. This historic estate is the ideal spot to relax and grab a glass of wine for Summer Music at the Rhine House Backyard every weekend from 12:30 to 4:30pm. Head to Raymond Vineyards July 6, 2019 for a lip-smacking Independence Day BBQ. This annual celebration is for wine club members only, and kicks off at noon with wine tasting, entertainment and a barbecue lunch. Join Texas legend Lyle Lovett at the Uptown Theatre in Napa July 10 and 11, 2019. You'll love this Grammy-award winning artist's unique blend of music that infuses country, swing, jazz, folk, gospel and blues, coupled with his captivating stories. Get your tickets to the annual Festival Napa Valley. Don't miss this much-anticipated 10-day event is July 12-21, 2019. More than 60 events throughout the valley, including: live music, dance and theater, fine cuisine, wine tastings. Check the website for the complete lineup. Tempt your tastebuds at the Summer Peach Festival at Frog's Leap Winery. This annual, family-friendly event promises to be fun -- and delicious! It's for a good cause, too, benefiting the UpValley Family Centers. It's July 20, 2019, from noon till 4pm. Be sure to RSVP early for this popular event. Don't miss Summer Cabernet Dinner at the Pine Ridge Vineyards on July 20, 2019, 6pm to 9pm. This outdoor dining experience features specially selected wines paired with a special four-course menu prepared by Chef Susan Lassalette. You'll also savor the stunning views of the Stags Leap District Palisades and live music. Make new memories with a sultry evening of dining and dancing at the annual Hot Havana Nights July 26, 2019. You'll savor an authentic Cuban feast, wine, cigars, and so much more at the Castello di Amorosa. Dress the part and dance the night away to the hot Cuban beat. Channel your inner Italian (we all have one) for the Festa Italiana at the V. Sattui winery on July 27, 2019. Reserve your tickets early for this mid-summer celebration of Italian heritage. Enjoy an evening of scrumptious food and wine, live music, dancing and lotsa fun. Enjoy magnificent talent from America's award-winning orchestra musicians. Napa Valley wineries provide the beautiful backdrop...and the wine, of course. Imagine the great works of Mozart, Strauss and Tchaikovsky while sipping the splendid wines of Napa Valley. Check the schedule for the 25th season concert series of Music in the Vineyards August 2 - 25, 2019. Join in an afternoon of good food and fun at the Paella Party on the terrace, August 10, 2019 from 2pm - 4pm. Celebrate the sights, sounds and flavors of Spain at the Silverado Vineyards in Napa Valley. Celebrate Peju Winery's Annual Grape Stomp. Gather your friends and come for a fun-filled day of food, drink and purple feet. This annual event is August 17, 2019. Check the site for the times and how to get your pass that includes wine and lunch. 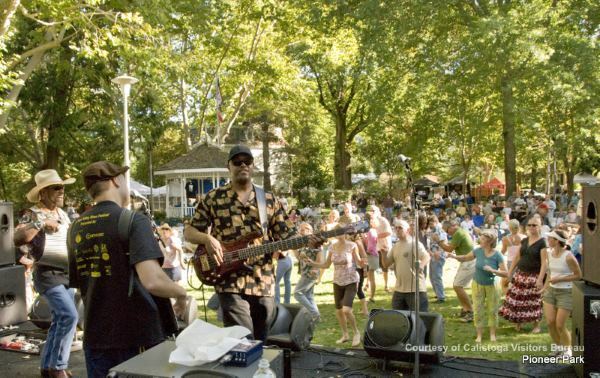 Head to downtown Napa for the annual Blues, Brews and BBQ on Saturday, August 25, 2019 from noon till 6pm. Dig into barbecued chicken and pork, plus all the fixin's, then wash it all down with micro-brewed beer from one of many microbreweries. You'll enjoy live blues from some of the Bay area's best musicians. What could be better on a warm lazy afternoon? Head to the Calistoga Farmers Market on Saturdays from 8:30am to noon. Shop for fresh fruits and veggies, plus crafts, flowers and herbs in downtown Calistoga. Meet winery owners and winemakers at the 4th Annual Calistoga Wine Experience. It's September 7, 2019 from 4pm to 7pm in the Pioneer Park in Calistoga. Taste wines from 30 Calistoga wineries, gourmet bites from local chefs, enjoy live music, and more. Celebrate harvest at the 6th annual Calistoga Harvest Table held Sunday, September 8, 2019. More than a dozen local restaurants and 40-plus wineries welcome visitors and locals to 1,000 feet of tables in the middle of this charming town. You don't want to miss this unequaled culinary experience. Tickets go on sale July 15. Enjoy live music and a picnic at Beringer Vineyards. Spend a beautiful afternoon at the Music in the Rhine House Backyard from 12:30pm till 4:30pm. Details to come. Make new memories at V. Sattui winery's annual Harvest Ball on September 14, 2019. Savor a gourmet dinner prepared by Michelin-star Chef Stefano Masanti, drink award-winning wines, and enjoy live music. Plans are underway; save the date for this grand event. Indulge your inner Italian at the Charles Krug winery's Tastings on the Lawn (date TBD). You'll have a scrumptious feast of pasta, wood-fired pizza, salumi and cheeses and more. Gather your friends, bring your lawn chairs or blankets for this picnic on the Great Lawn. Celebrate the Valley's most anticipated season at the 8th Annual Barn Bash. It's on September 15, 2019 at the Rutherford Hill winery. Toast to this year's harvest with superb wines paired with wood-fired pizzas and authentic BBQ fare, while enjoying live music in the beautiful Oak Grove. Find out what it really takes to make great wine at the Harvest Celebration & Stomp. This annual event is September 20, 2019 at the Castello di Amorosa and includes scrumptious Wine Country buffet and wine (of course! ), live music, wine harvest demos, plus -- you get to stomp some grapes yourself! Treat yourself to newly released signature Stags Leap Cab, plus estate wines, paired with delicious bites at Stags on a September Afternoon. Sip, mingle and make new friends at this harvest event September 21, 2019. Seating is limited; RSVP early. Romance your Wine Country dreams at the Robert Mondavi Autumn FÊTE. It's everything you want a harvest festival to be. Imagine... a leisurely French-inspired multi-course feast... and you, sipping fine wine, while watching the sun dip below the vineyards as you enjoy live music and mingle with friends old and new. Don't miss it... Saturday, September 21, 2019 from 6:45pm to 10pm. Explore dozens of artist studios in the valley during the Annual Napa Valley Open Studios. You can visit painters, jewelry makers, glass artists, potters, sculptors and more the last two weekends in September (September 22-23 and 29-30). Who doesn't love a parade? Be at the 40th Annual Yountville Days Parade & Festival the first Sunday in October to commemorate Napa Valley's first settlement. The parade starts promptly at noon and winds through this charming town, ending up at the Yountville City Park where the festivities begin. Enjoy live music, good food and fun events for the kids. Roll up your pant legs and get ready for the Crush Party at V. Sattui on October 5, 2019. That's right -- you can actually get grapeskins between your toes. At this big open house, you'll get a rare look inside a real working winery. Meet the winemakers, plus discover how this fascinating operation works, from the vines to the bottle. Many wines to sample, scrumptious fare from the Tuscan grill and live music round out the evening. It's club members-only (what better excuse to join?). Celebrate the crush at the Silverado Harvest Party at Silverado Vineyards on October 19, 2019. Savor a harvest menu, music and selections of newly released wines. Celebrate harvest time with the locals at the Hometown Harvest Festival in St. Helena on (date TBD). The down-home festivities start with a fun run and the legendary pet parade through downtown. Join the fun with live music, arts and crafts, plenty of good food and wine and a kids' carnival. Rise and shine for the St. Helena Farmers Market Friday from 7:30am to noon. Stroll the market for fresh produce, crafts, and more delights. It's a great place to sip a piping hot cup of coffee and nibble a sweet roll while visiting with the farmers, artists, musicians and Master Gardeners who make it happen. Don't miss the Halloween bash of the year! Wear a costume for the Pagan Ball at Castello di Amorosa. Some of the tricks and treats awaiting you include: RIP Reception, Haunted Chamber tours, fortune telling, dancing, and to-die-for food and wine in the Courtyard. The ghoulish fun is October 25, 2019. Calling all ghouls and goblins! Get ready for a night of terror-ific fun at the Halloween on the Hill. The spooktacular good time is Saturday, October 26, 2019 at the Rutherford Hill Winery. Head to the haunted wine cave for an unforgettable evening that includes frightful bites and wickedly good wines. Head to the Calistoga Farmers Market on Saturdays from 9am to 1pm. Shop for fresh fruits and veggies, plus crafts, flowers, fresh seafood, olive oils, and breakfast treats at this weekly event at the Sharpsteen Plaza in Calistoga. Join in an afternoon of good food and fun at the Paella Party on the terrace, November 2, 2019 from 5:30pm to 8:30pm. Celebrate the sights, sounds and flavors of Spain at the Robert Mondavi Winery in Napa Valley. Don't miss legendary band Three Dog Night, playing at the Lincoln Theater on November 3, 2019. Between 1969 through 1974, no other group achieved more top 10 hits, or sold more records and concert tickets. Admit it, you know all the words to Joy to the World, Black and White, and One. Grab a bib and dig into the Lobster Feast at Silverado Vineyards. You'll sit down to a bountiful feast of whole Maine lobster, all the fixings, plus wine. This delectable event is November 9, 2019 11:30am - 2pm. Hollywood glamour meets Wine Country at the annual Napa Valley Film Festival. More than 200 film industry directors, actors, writers, producers and guests will gather here November 13-17, 2019 to celebrate the best new independent films. Awards programs, elegant parties, film previews, gourmet food and boutique wines -- all come together in the beautiful valley every autumn. This is one of the most anticipated Napa Valley events of the year. Get in the holiday spirit at the Holidays in Yountville. This winter wonderland is sure to make spirits bright throughout the season. Among the festivities are carolers, horse-drawn carriage rides, free entertainment, the town's lighting ceremony and much more. Sip and savor delights from Yountville's restaurants and wineries. Get in the spirit of the season at Annual Lighted Tractor Parade in Calistoga! Be there Saturday December 7, 2019 for this must-see celebration. You'll be dazzled as the vintage tractors, trucks and floats parade down Calistoga's main street. Look for Santa...he wouldn't miss this family-fun event! Join the festivities at Robert Mondavi Winery's 9th Annual Holiday Tree Lighting and Celebration. This much-anticipated, family-friendly event includes the annual tree lighting, horse and buggy rides, wine tasting, hot apple cider, caroling, cookies and appetizers. It's Saturday, December 7, 2019 from 3pm to 5pm. 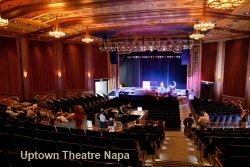 Kick off the season with a spectacular celebration at An Irish Christmas, headed to the Uptown Theatre in Napa (date TBD). Direct from Ireland, this superb team of traditional musicians and dancers put on an outstanding holiday show that'll put a smile in your heart. Celebrate the season at the Annual Holiday on the Hill. It's Sunday, December 8, 2019 from noon till 4pm at the Rutherford Hill winery. Festive bites and seasonal sounds await you in the holiday-decorated cave. RSVP required. Ring in the New Year (and decade!) in style at the New Year's Eve Masquerade Ball. Arrive in your formal attire and mask for your red-carpet welcome at the Castello di Amorosa on December 31, 2019. Enjoy a decadent four-course dinner in the Grand Barrel Room, dance the night away to live music and toast to 2020 with a glass of Spumante at midnight.